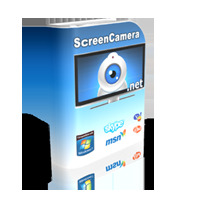 The family ScreenCamera is a group of full featured desktop screen recorders with the extra ability to serve as virtual cameras thus providing a video output to be shared on webcam applications and websites. Here is a list of the ScreenCamera family capabilities: screen recorder mp4 format, screen recorder wmv format, record screen and webcam together, AVI screen recorder software, WMV screen recorder software, screen recorder with picture in picture software pc, MP4 screen recorder software, broadcasting software for live video production, video mixing app, video publisher software, live video production software for pc. 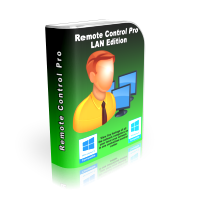 The family 1AV of programs is headed by 1AVCenter which is a video and audio recorder, a remote surveillance tool, a live streaming solution, an FTP publisher, and a secure file sharing application. Here is a list of the family 1AV capabilities: video and audio recording software for pc, webcam video recorder software pc, web camera video recording software for pc, microphone recorder software PC, PC desktop recorder software, record PC speakers software, software to capture sound from PC microphone, MP4 Screen Recorder, desktop video capture software for pc, computer screen capture software for pc, live video streaming server software, rtmp encoder software to publish live to wowza, streaming audio server software, Internet radio broadcasting software for PC, desktop streaming software for pc, streaming video server software, remote surveillance software for PC, spy webcam with microphone, microphone surveillance pc software, remote desktop surveillance, private and secure file sharing from your PC, secure file storage server, file sharing secure website from PC, secure file sharing pc software. SuperLauncher is a productivity booster that gives you quick access to your favorite applications, documents, folders, and websites. SuperLauncher is also a powerful scheduler and task reminder. Make sure to go through the steps of the initial tutorial to quickly learn how to use the program. 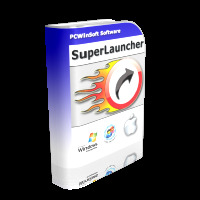 Here is a list of SuperLauncher capabilities: hotkey launcher, application shortcut manager software for PC, application launcher software PC, shortcut launcher software PC. 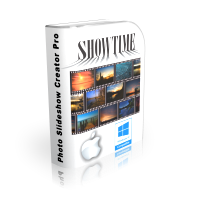 Protect your videos and your photos against theft and free distribution. Also have the possibility to brand your logo, company logo, or URL onto your videos and photos. The family of watermarkers has the following capabilities: pc software to watermark picture files, pc software to watermark batch of photos, watermark photo pc app, watermark photos pc software, watermark batch of photos software for pc, video watermark software, watermark movie software, watermark video app, watermark videos software pc, pc software to watermark video files. Whether your intentions are to monitor one PC for personal back tracking, or spy on a PC user, or monitor all PCs in your network, or monitor countless cameras from one central point we offer solutions that will fit your surveillance needs.The family of Surveillance software has the following capabilities: pc activity logger, pc use logger, computer activity monitoring software, pc desktop activity monitoring, pc activity monitor, computer surveillance, pc desktop spy, pc activity tracker, IP camera viewer, multiple camera surveillance, IP camera spy, IP camera monitor, camera surveillance central. 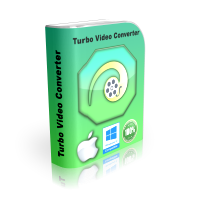 Convert video and audio files from any format to all types of audio and video formats. Convert AVI to FLV, WMV to MPG, MPG to 3GP, AVI to MP4, SWF to MP4, and a whole lot of other possibilities. Convert MP3 to M4A, WMA to MP3, MP3 to AIFF, WAV to FLAC, M4R to OGG, MP3 to WMA, and all other possible combinations. 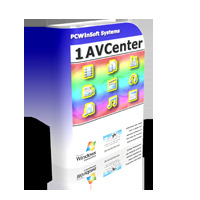 Here is a list of this family of converters capabilities: video converter popular formats pc software, pc software to convert movie files to MP4, batch movie file converter software for PC, pc software to convert movie files, video converter all formats software for pc, Video file converter software for PC,, SWF to AVI video converter software for pc, SWF to MOV video converter software for pc, SWF to WMV video converter software for pc, SWF to MP4 video converter software for pc, SWF to FLV video converter software for pc, SWF to 3GP video converter software for pc, sound file converter software for pc, audio format converter software for pc, mp3 audio converter software for pc, MP3 to M4A audio converter, MP3 to AAC audio converter, FLAC to OGG audio converter, MP3 to AIFF audio converter. SharewarePros Editor: We found ScreenCamera a user-friendly software with a modern and clear interface, making it an utility suitable for novices and experts too.